Laminate uses an image of wood on its surface. It looks like the real thing. It has distinctive grain & authentic textures. 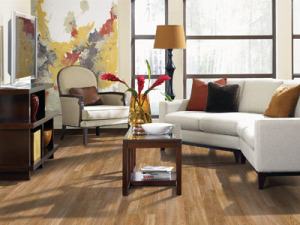 Realistic looks create the dramatic beauty and design sophistication found in laminate flooring. Laminate is durable and affordable. It can be installed anywhere in your home. 2240 De La Cruz Blvd.